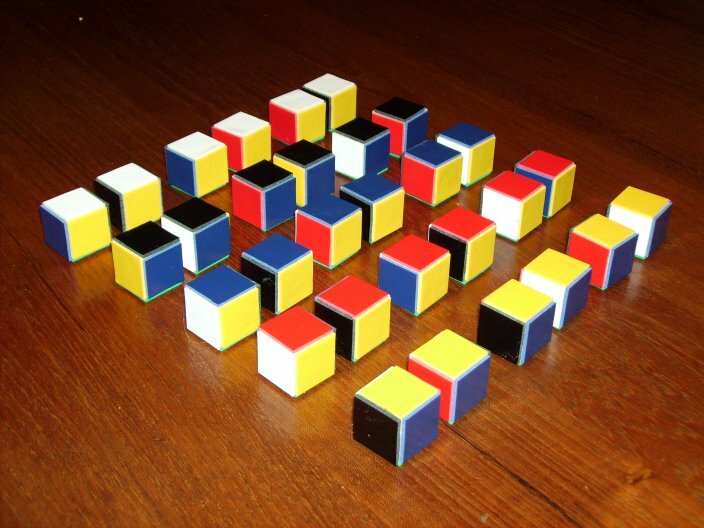 These are the famous 30 colored cubes known as MacMahon cubes. A 2x3x5 box can be made with the complete set. Inside the box colors are matching and opposite faces of the whole box have same colors, too. You may ask for a box where each face has a different color but this isn't possible because the 3x5 faces have an odd number of squares and the frequency of each color is even. 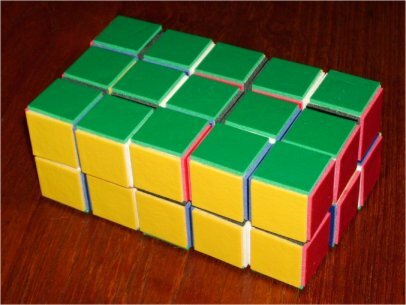 A solution showing the layers is provided if a solution by hand fails.